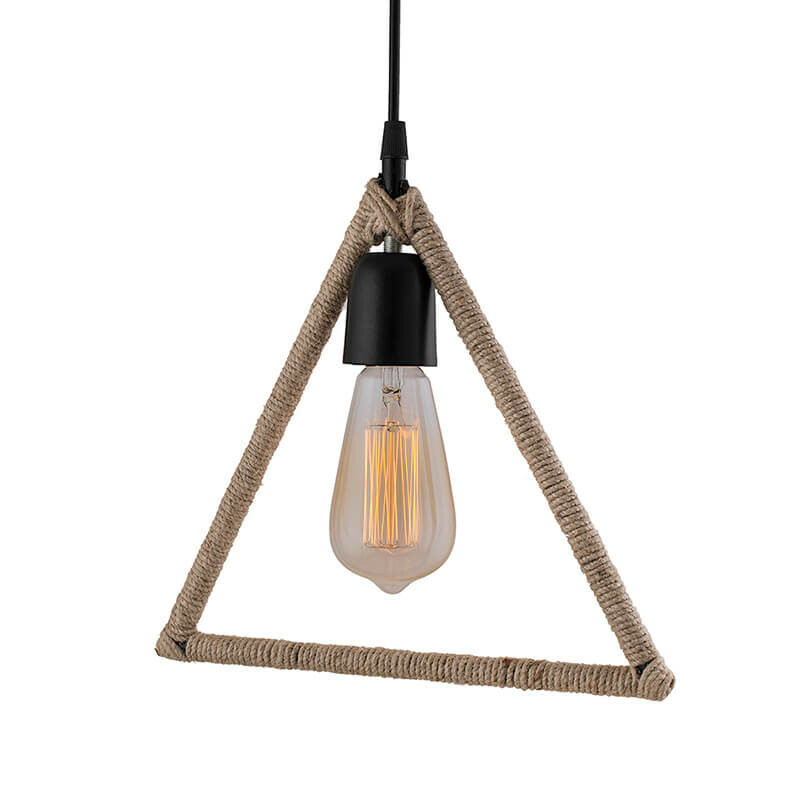 Here’s a great loft style pendant light - adding a stylish, classical feel to your loft, home, or restaurant. 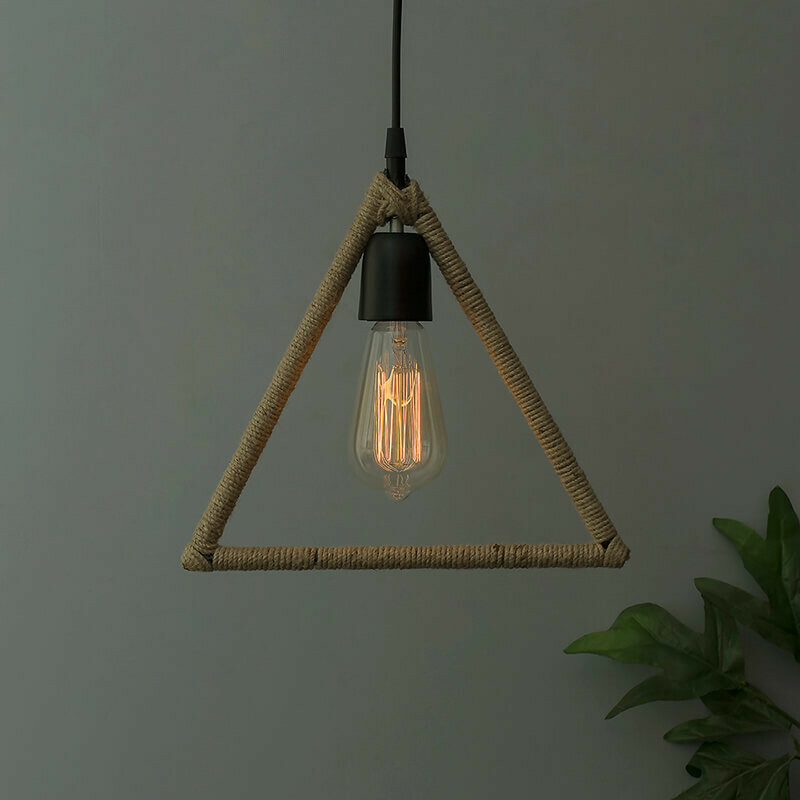 An interesting tinted surrounded by a triangle of hemp rope. add a very nice and unique look in your home. 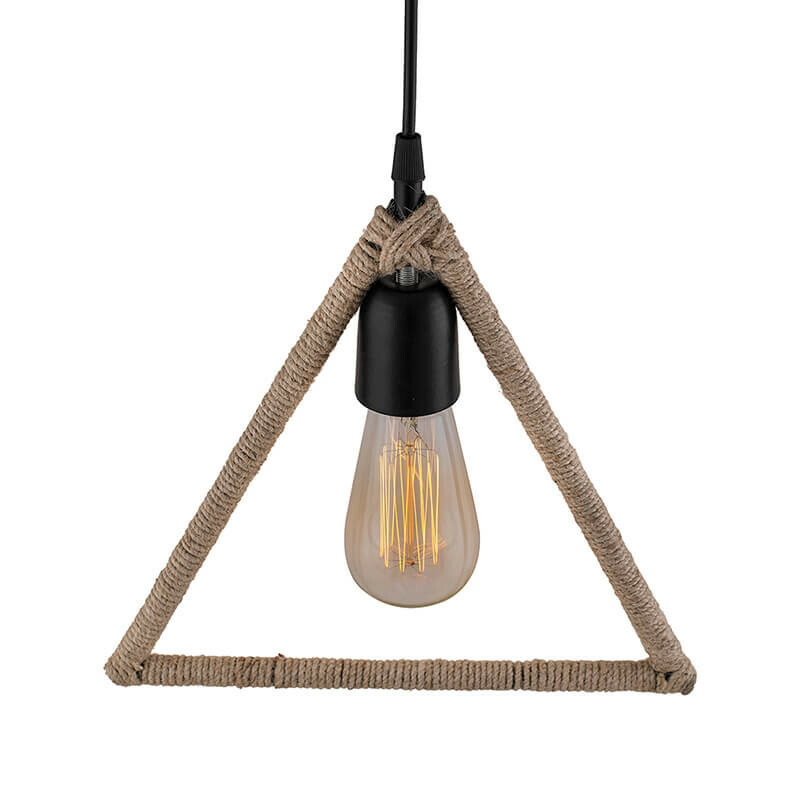 handmade natural hemp rope chain made it free and easy atmosphere in your foyer, bedroom or any where you hang it.This classic look fits in perfectly among vintage decor and locations - matching seamlessly with classic wood, and darker shades.Grab this gorgeous new loft style pendant light. 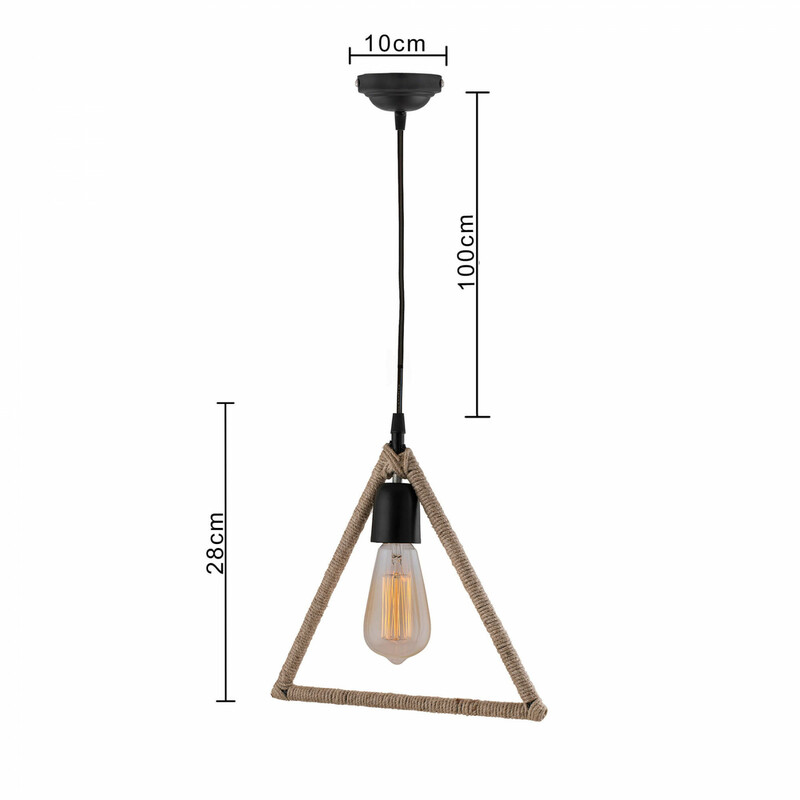 Creative personality Pendant Lights of industrial hemp wind retro bar and Restaurant Bar Cafe lamp clothing store. Comes with E-27 filament bulb, holder and features a 40 inch fully adjustable cord, allowing you to customize the fixture to your lighting needs and desired look and a canopy for the ceiling.